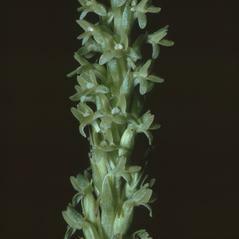 Platanthera michaelii, Michael's Rein Orchid, is endemic to California where it grows among coastal scrub and coniferous forests and extends inland to the Sierra Nevada foothills. 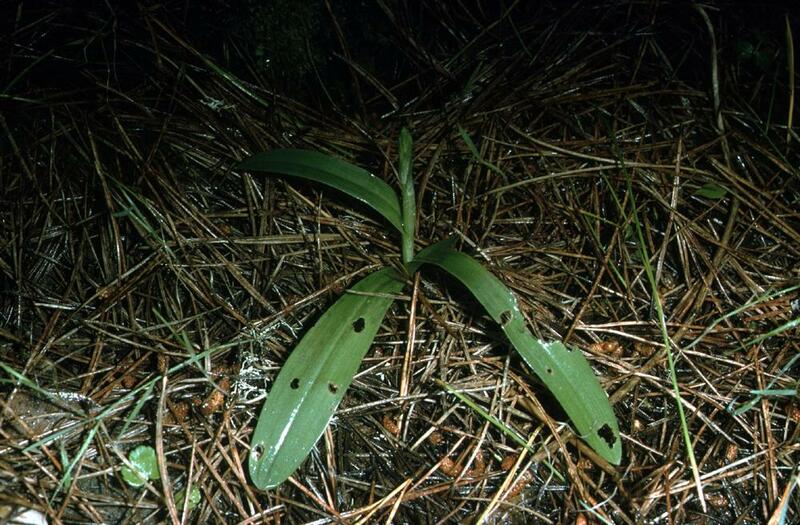 This orchid has 3-4 basal leaves that usually fade before the flowers fully open. 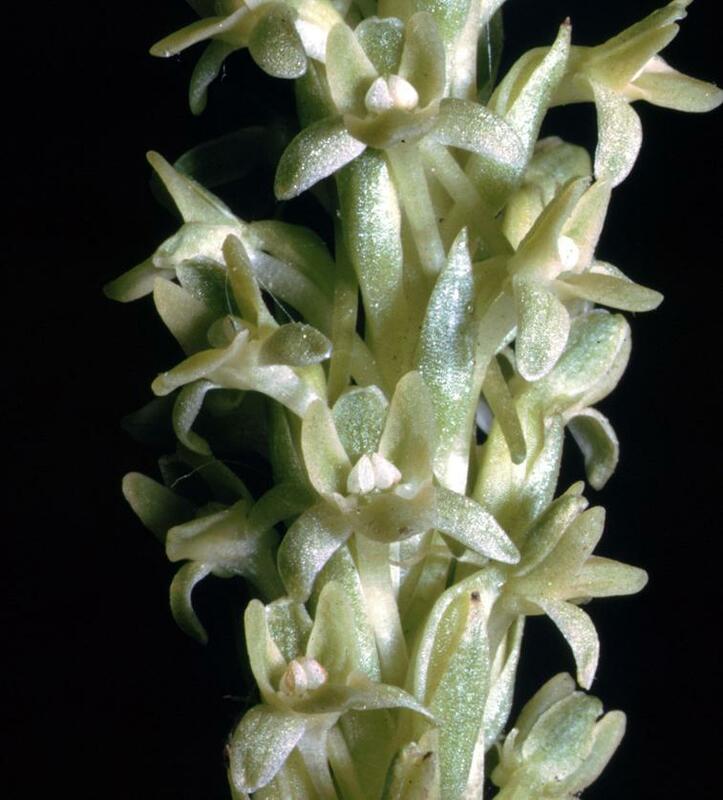 The inflorescence has numerous yellow-green flowers that are fragrant in the evening. 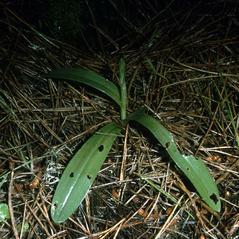 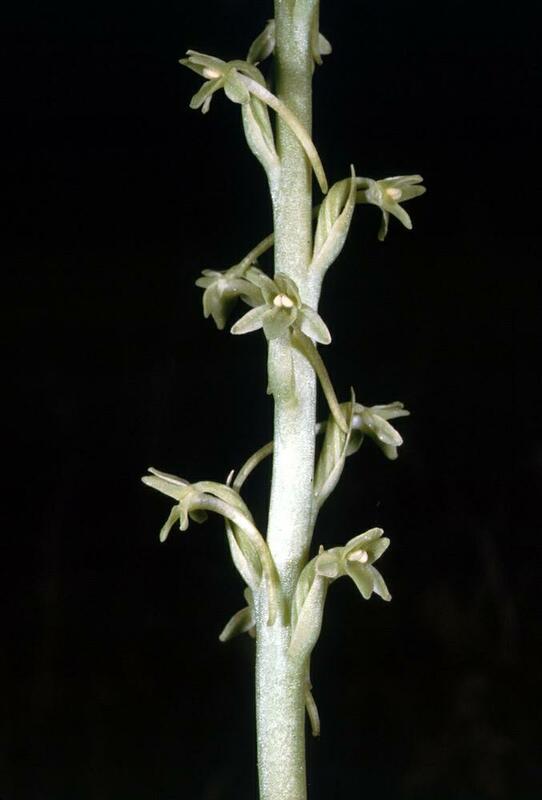 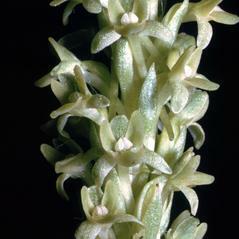 The labellum is widely triangular with a much longer spur that points downward. 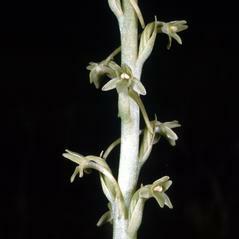 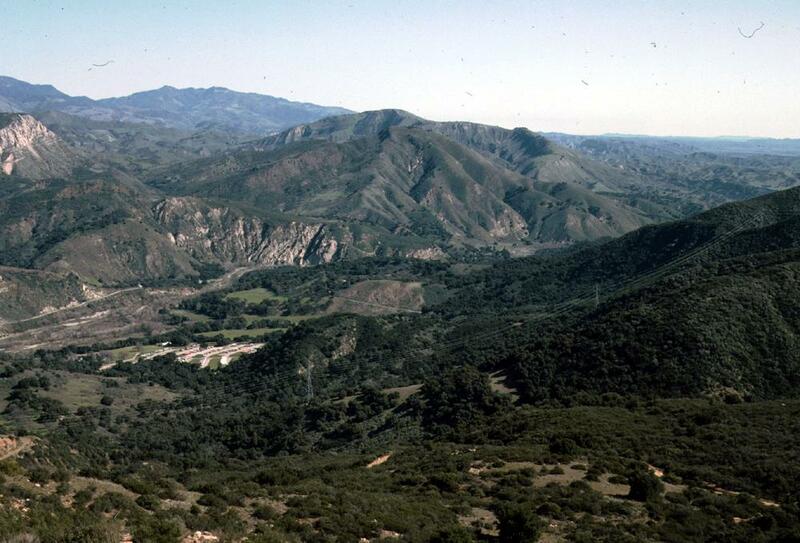 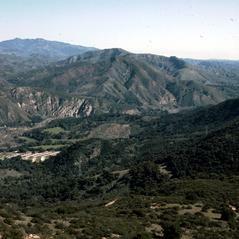 Inland populations are often found in oak woodlands and bloom earlier than the coastal plants which have denser inflorescences. 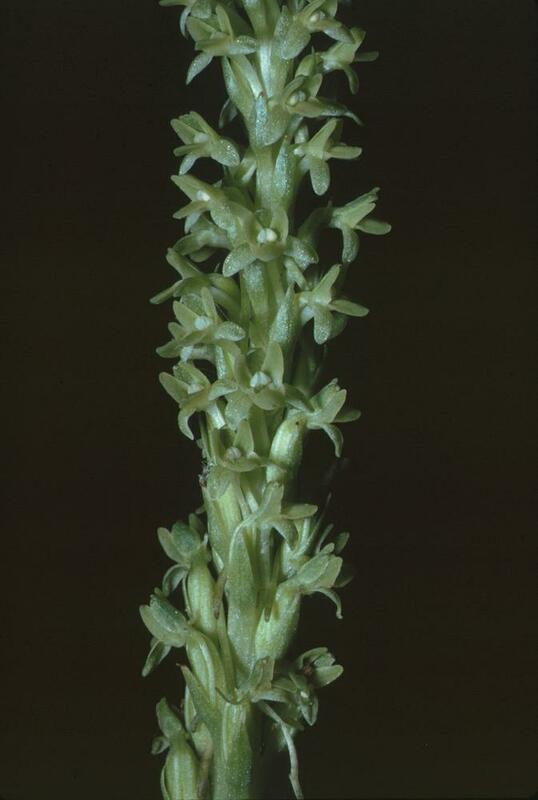 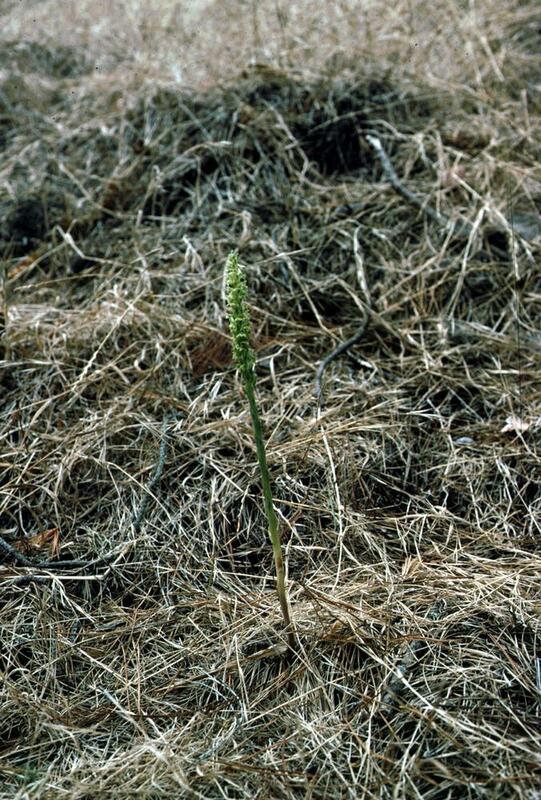 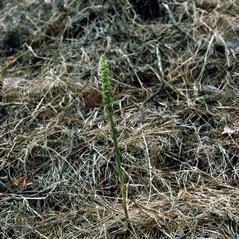 Platanthera michaelii is considered vulnerable across its range where urban development is the primary threat.